Foxy boxing has been created just for the ladies who prefer a female-only environment. Our foxy boxing class is for complete beginners, but welcome to women who follow boxing, and is designed to make women feel as comfortable as possible. Many women may think, “I can’t do this!” but once they get onto the floor they discover that boxing is fun and entertaining. That’s why it’s such a big sport today. Get Fit Not Hit is our motto, which is a concern for some people. Sign up for our Foxy Boxing class and learn the art of boxing. Boxing will enable you to get fit and get in shape. You’ll learn the basics of boxing, the proper moves to avoid injuries, and learn how to train your body to get into shape. The exciting thing about boxing is that you’re constantly moving around the floor, exercising every muscle in your body, unlike other fitness methods. There is also the fantastic community aspect to boxing. You’ll be able to join a class and meet other like-minded people who all have that big goal to get into shape! This can also help you to stay on track. 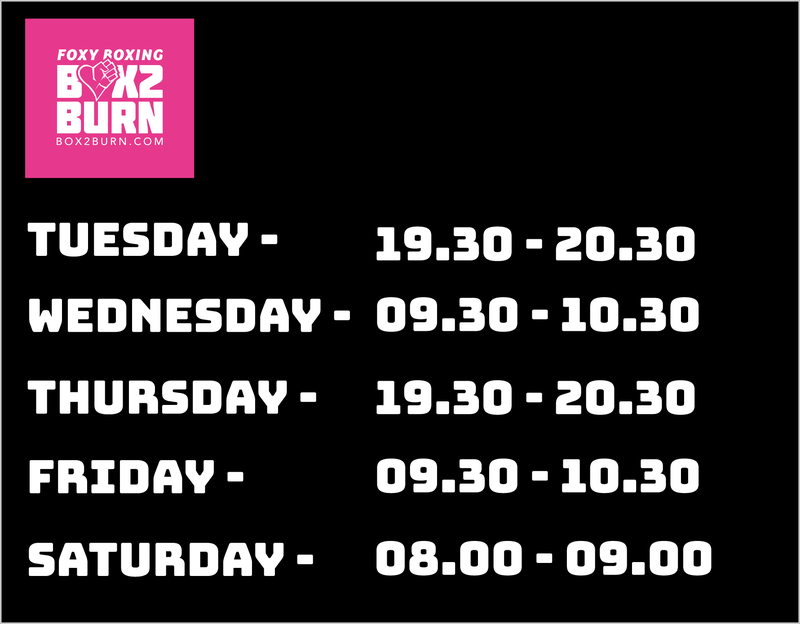 Even if you have no experience with boxing, or you’re a busy Mum who is ready to get in shape, you’ll discover that boxing is the perfect fitness class for you!